Ready to Run a Railroad? Come on. Maybe you they're not something you actively think about, but you must admit that when you do see them, trains are cool. They're gigantic, seemingly unstoppable, and they contain engines with thousands – sometimes tens of thousands – of horsepower. The fastest can race across the countryside at speeds over two hundred miles per hour, while others are capable of carrying loads measured in the thousands of tons. In Railroad Tycoon 2 you're given the opportunity to command your own railroad and its associated stable of trains. But Railroad Tycoon is about more than this – you'll also be playing the stock market with the hope of increasing your personal net worth. It's an interesting and fairly unique premise. Does it result in a great game? At its heart, Railroad Tycoon 2 is a game of logistics. There are no guns. You don't blow anyone up. Your only weapon is your own brainpower and your ability to harness it towards the goal of efficiency. Railroad Tycoon 2 can seem surprisingly easy at first glance. It is only after thirty minutes in the role of railroad CEO that you start to understand just how complex the job can be. Trains, besides being cool, offer the perfect model for a game of logistics. Trains can only travel on track, so you have to plan where they'll be able to go and you have to decide how much to spend on that infrastructure. For example, there are several different types of bridges. A wood bridge is very cheap, but it only supports one lane of rail travel, and trains must slow down while crossing. Stone bridges are more robust, don't slow trains, and support two lanes of travel. But my god, are they expensive! The deeper you dig into Railroad Tycoon 2, the more stuff you'll find to manage. Train reliability, for example, is a factor. It is determined by how hard you work the trains (the weight of the cargo they carry in tons), by their age, and by their design (some trains are more reliable than others). Working your trains harder results in more money from cargo – but your trains may break down, blocking your tracks and halting all rail traffic. Games like Railroad Tycoon 2 rely heavily on their interface. If you can't access information about your trains and your routes easily, you won't be able to play the game properly. Fortunately, Railroad Tycoon 2 is designed with this notion in mind. Quick information about your company and your trains can be readily found, but more detailed information can also be brought up in list view. The train list, for example, details information like reliability, age and profit/loss over the train's life. The interface holds up surprisingly well considering the age of the game. Players with high resolution monitors will notice that the interface elements are larger than they really need to be on a modern display, but this issue provides to be minor. 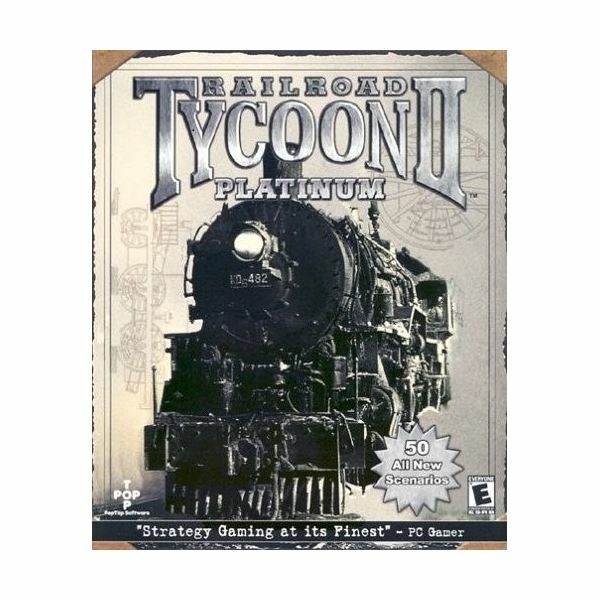 If you're looking for a great strategy game on the cheap, pick up Railroad Tycoon 2. It is available on Steam for just $4.99, and at that price it's a steal. Railroad Tycoon 2 is one of those strategy games that can easily eat hours of your time in one play session. Just be sure to avoid Railroad Tycoon 3 – it may have 3D graphics, but it's generally regarded as inferior to the first two games in the series. Looking for more strategy games? Check out our guide to the top 10 Tycoon games ever released.